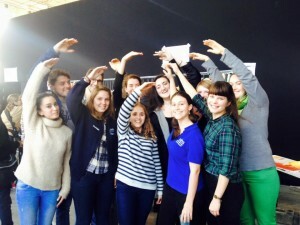 On November 26th, 2015, 14 oikos members entered the Hall 8 of the Parc des Expositions of Paris. 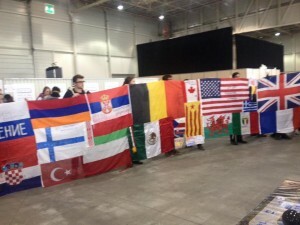 Coming from Germany, Switzerland, France, Austria and the UK, they were greeted by a vibrant crowd of 4000 other young people from more than 180 countries. One of the first workshops of the entire COY was hosted by two members from oikos Cologne on the Oslo Principles. oikos members then split themselves amongst the hundreds of proposed workshops and talks. Amongst the ones that were attended on the first day were a workshop on climate negotiations. Here members were asked to represent various parties, including one party which represented the Earth’s ‘soil’. Then, a talk was held on the INDC’s with a specific focus on Colombia’s case. A workshop was then attended on online communication. The hosts presented how a group of US and Chinese students managed to set up a combined online programme, despite living in opposite sides of the world, to tackle climate change. oikos members were also presented to YOUNGO and they considered a future involvement in the YOUNGO community, as well. The day closed with workshops by the UN SDSN (with a presentation on their DDPP project) and a French consultancy company (on the role of youth in taking action to combat climate change). attended a talk on agriculture, its issues due to climate change and its required adaptation. The inspiring speaker gave worrying data and encouraged youth to understand that there are much deeper opportunities in agriculture than we are aware of. The first oikos workshop then took place. oikos hosted a workshop on the integration of sustainability in accreditation systems. With a participation of 10 countries and passionate students, Anita and Clementine managed to receive precious insights into what students truly would want their universities to entail in their programs. Moreover, students reflected on their education and understood that they are actually upset with the inflexibility of the system, with not being heard and with, amongst others, spending too much time just listening in schools and not enough time critically thinking. oikos members then moved onto participating to a talk on biomimetism and permaculture, moderated by an inspirational activist. Amongst the presentation of innovative food supply systems, the speakers highly critiqued the industrial agricultural system which represents the majority of production nowadays. The day ended with a workshop on higher education by COMMIT (hosted by oikos members) and a workshop on negotiations by the Italian Climate Network. Both workshops were retained interesting and oikos members were left inspired by the energy of the second day. The final day at COY11, was a warm Saturday, The conference venue was filled with energy creativity and youth. The morning started with workshops on media projects across the Mediterranean and it continued with talks from National Geographic’s explorers bringing their fantastic experiences to a large audience. These exporters inspired youth to see the world differently, to keep looking and understand that not everyone needs to have a standard job. This was followed by a panel discussion on the role of education and research in attaining sustainability. The panel, composed of four young people involved in this cause in France, was critical and excited to help change education and research. Amongst the interesting reflections on the matter, was the question: how are we going to truly prepare the future? Are universities truly providing us with the appropriate tools to act? Amongst others, the panelists also presented two manifestos created by five organizations to call for a change in education. At lunch, all oikos members met for a photo in front of a project called Ribbons. Where everyone was asked to write down, on a ribbon, what they wish for humanity. The exposition of ribbons at the end of the conference was a show of inspiration, where the power of youth proved to be unbeatable. The day ended with another oikos workshop, that continued with participants from France, India and Haiti. oikos members presented their view on responsible leadership and a few current accreditation systems. You can still help us pursue this project by filling in the following survey. The Closing Ceremony was another moment of magic. The Polynesian delegation danced to show the world the importance of acting for climate change in order for their islands to not disappear within a few years. 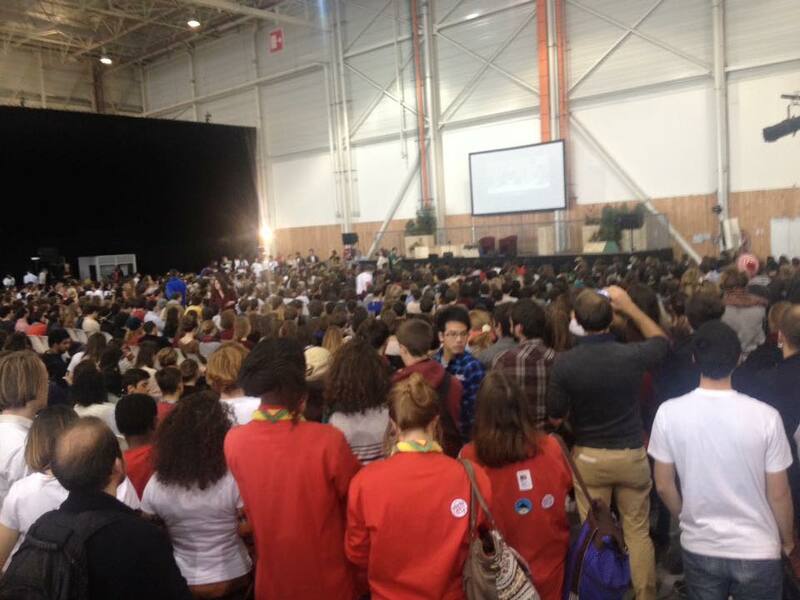 With talks from Laurant Fabius and Nicholas Hulot, amongst others, the main conference hall of the COY11 was overcrowded with young people who show that a difference can be made and it can be made now. The 250 volunteers who organized the COY11 closed the event by thanking everyone and urging them to see the COY11 as just a starting point. See more of what went on at the COY11 by following Anita on twitter: @theanitanegri or the hashtag #COY11 and #COYwithus.